· You can find and view rules on our website here. · Honor the game. Respect the rules, officials, and opponents. Unsportsmanlike conduct or fighting will not be tolerated. Consequences include expulsion from the event, exclusion from future Baggataway and other area tournaments. 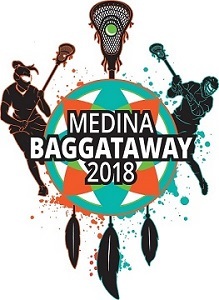 · City of Medina ordinances prohibit parking on the grass in any city park. Medina Police Department will ticket cars parked on the grass. 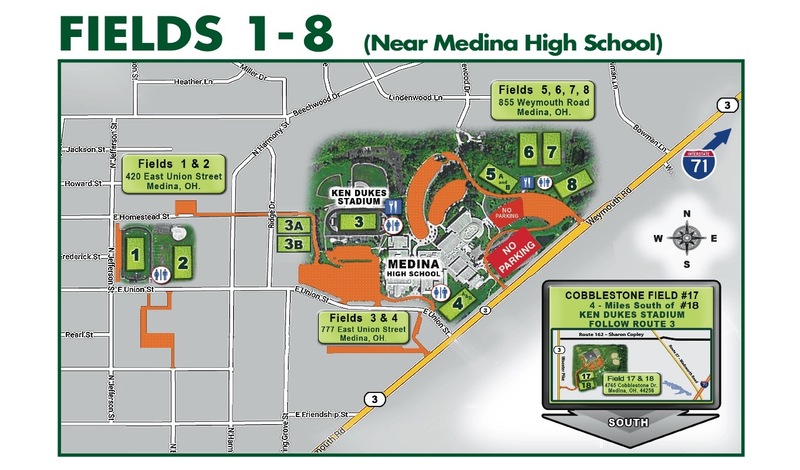 · Fields 1-8 are in the M.H.S / Rec Center area. Fields 10-16 are at Cunningham/Huffman Park. 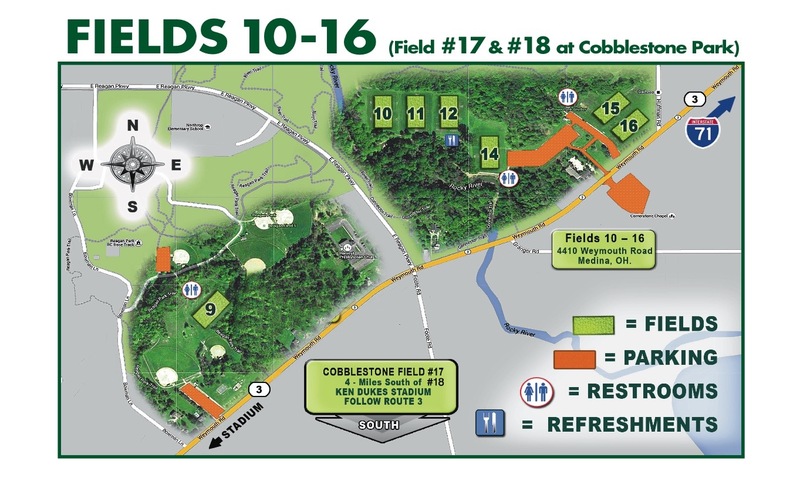 Fields 17-18 are at Cobblestone Park. 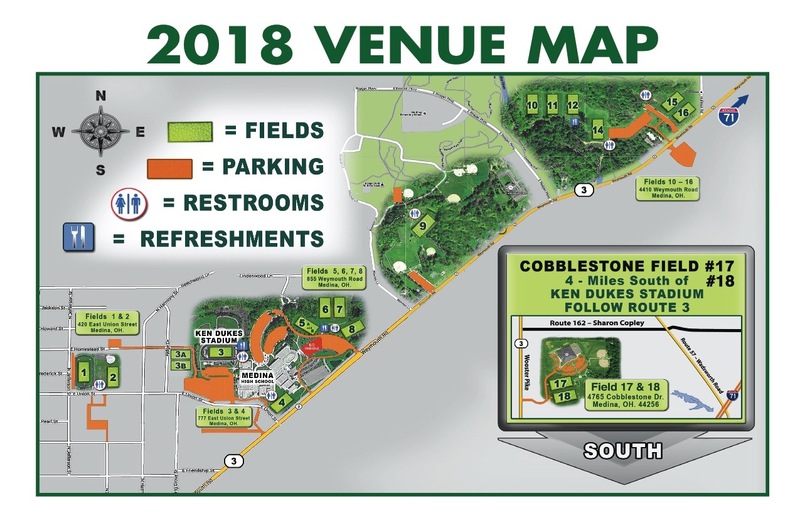 · Updated field maps can be found here.